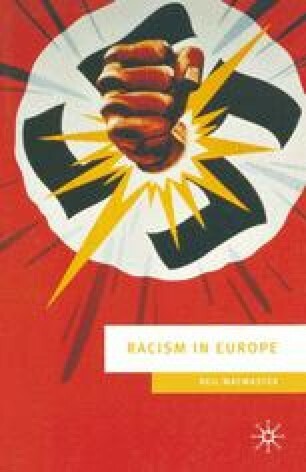 In the immediate post-war era the official rhetoric of anti-fascist victory, both in Western and Eastern Europe, combined with the powerful challenge to scientific, biological racism, created optimism among contemporaries that the evil of racism was definitively in retreat and would eventually be eliminated through education, enlightened progress or socialism. In general, the period 1945–74, one of unprecedented economic growth, low unemployment and solid welfare-state provision, was not conducive to fascist or racist movements, which remained miniscule, fragmented and underground. In spite of the fact that unregulated immigration was generating deep-seated problems that would erupt later into extensive racism, explicitly racist and fascist movements remained weak and politically marginalized during the third quarter of the twentieth century. Typically, the vote for extreme right-wing racist parties, like the German National Democratic Party (NPD), the Italian Social Movement (MSI), the British National Front (NF) or the French Front National (FN) rarely reached 5 per cent in local, regional or national elections. However, the last quarter-century, 1975–2000, witnessed a strong resurgence of racism.